I hope all is good. I’ve been enjoying my time at home writing music and seeing a bunch of shows. Thank you Nick Lowe, Wu Lyf, Titus Andronicus, Archers of Loaf, and Bruce Springsteen for some great times. For all the solo sets, it will just be me and a guitar. I’ll tell you some stories and sing you some songs. This is the first time I’ve done sets like this, and I’m looking forward to it. 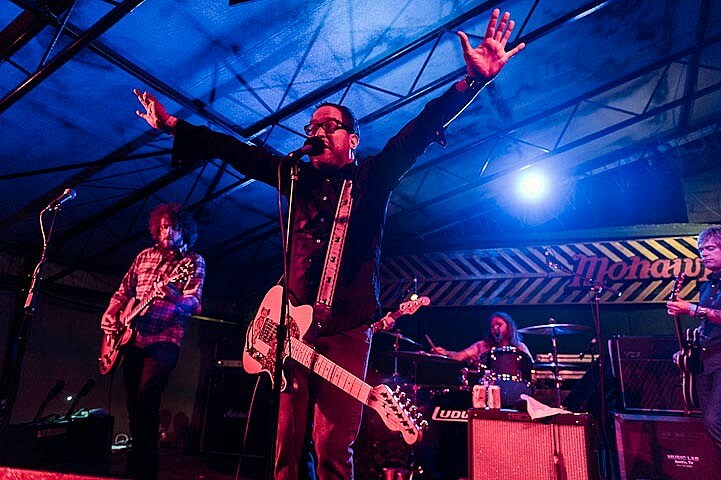 That Hold Steady tour in June does not currently include a NYC date — though they will play the XPoNential Music Festival in Camden, NJ in July — but we do get frontman Craig Finn, who will team up with alt-rock all stars The Baseball Project for a show at City Winery on July 5 as part of the CBGB Festival. Tickets are on on sale now. The show is one of three current dates for The Baseball Project — all in the Northeast. Below, you can check out those listed dates, a listing of all Hold Steady dates and a video of The Baseball Project’s full set from The Met last month.